Hi friends! Happy Wednesday! I am slowly trying to get back in action over here. I’ve been traveling so much and as much fun as it is to go, it’s always tough to get back into the swing of life upon arriving home! Ha! I’m excited to start a new series today where I will pick a color or print and share my favorite things with you. I love doing these types of series and I am excited to make this a monthly occurrence! 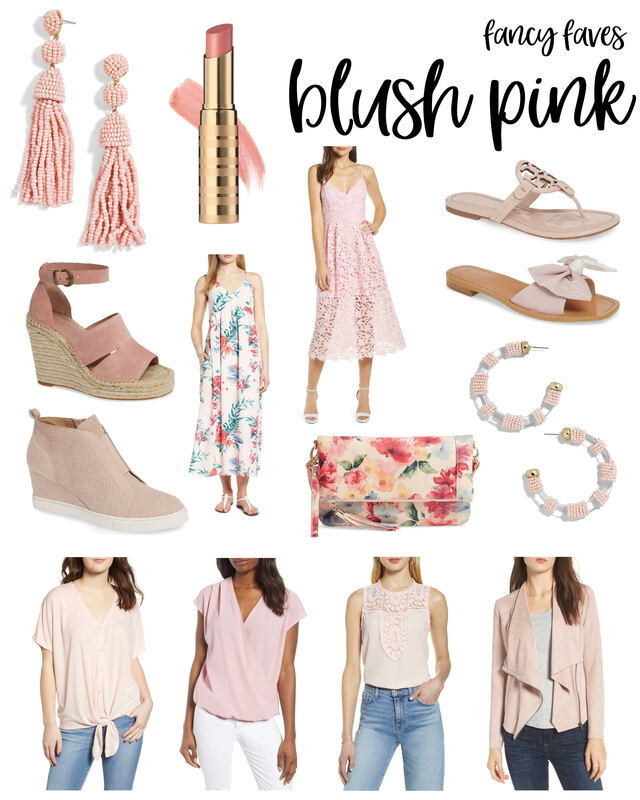 Today I am sharing my favorite blush pink items for spring!! EARRINGS – I really love these earrings! I have them in numerous colors and think they are really the perfect addition to any outfit! LIPSTICK (PETAL PINK) – These lip sheers from Beautycounter are fabulous and such a great everyday lip option! Perfect for spring and summer! DRESS – This dress is perfection for any spring occasion—think wedding, shower, party, etc! MILLER SANDAL – I love the Tory Burch Miller Sandals and really love this blush pink option! BOW SANDAL – How cute are these bow sandals?! I love them!! WEDGES – These are hands down my favorite wedges. I love them in brown and black and think the pink is such a great spring addition! SNEAKERS – These sneakers are so fun and such a great option for a wedge sneaker. DRESS – This dress is fabulous and I love it! Perfect as a coverup or a dress to wear to dinner or a perfect day dress! CLUTCH – This clutch is so fun and perfect for spring! 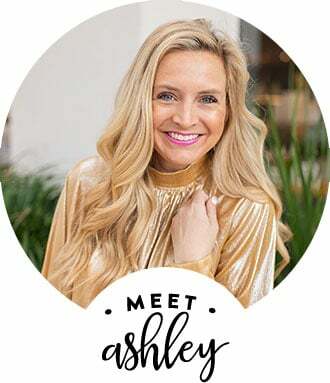 EARRINGS – These are super cute and a great basic that you can wear with all the things! TOP – Loving this top! I really love anything with a tie front! WRAP TOP – Love this wrap top and think it’s such a great everyday top! These are also so flattering on all body types! TOP – This top is a great one to dress up or down. I think it’s adorable and has such fun lace detailing. SUEDE JACKET – I have this in lilac and it really is such an awesome jacket! It’s the perfect weight for spring and summer! I’d love to hear what you think of this new series! Are you excited to see each month’s picks? I sure hope so! Have a fabulous day!! XO! If you liked this post, you’ll love March Amazon Haul and Amazon Clothing for Little Girls!